Based on a series of interviews, Seamless discusses the collaborations between Filip Dujardin and Jan De Vylder, Philipp Schaerer and Roger Boltshauser, and Bas Princen and OFFICE Kersten Geers David van Severen. Each of the three sections is illustrated with a series of images that form parallel narratives within the book. 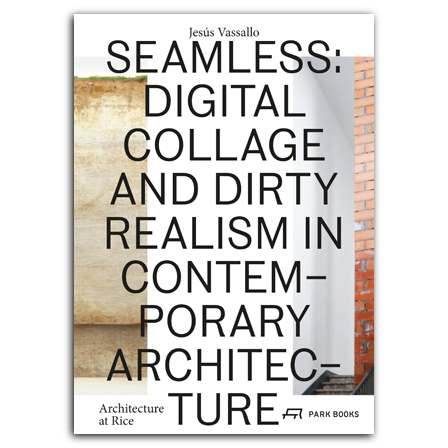 In the concluding essay, architect Jesús Vassallo pulls together the threads of the conversations to investigate questions about the impact of digital technology on the value assigned to images, how shared technological platforms enhance the influence photographers and architects have on each other, and why they have often chosen to focus on the dirty realism of urban spaces. Received Bronze at the Spanish Laus Design Awards 2017. Designed by Tres Tipos Gráficos, Madrid. is the founding principal of Estudio Herreros, and a Professor at Madrid School of Architecture and Columbia University in New York. is a Spanish architect and writer, and an assistant professor at Rice University’s School of Architecture in Houston, TX.